Heads Up! 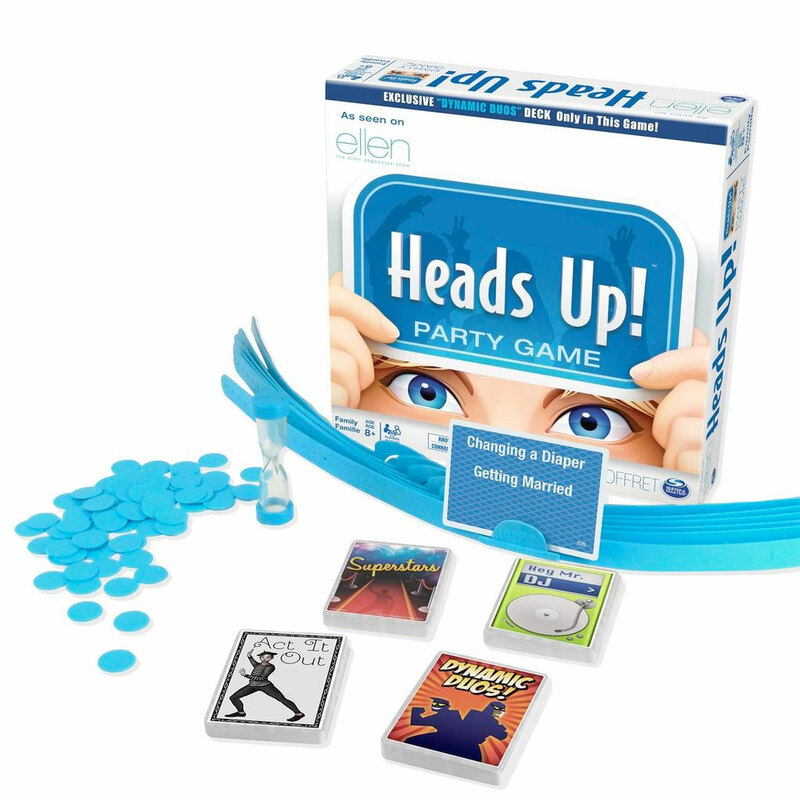 is the crazy party game version of the popular app seen on The Ellen Degeneres Show! Heads Up! is non-stop fun for all! 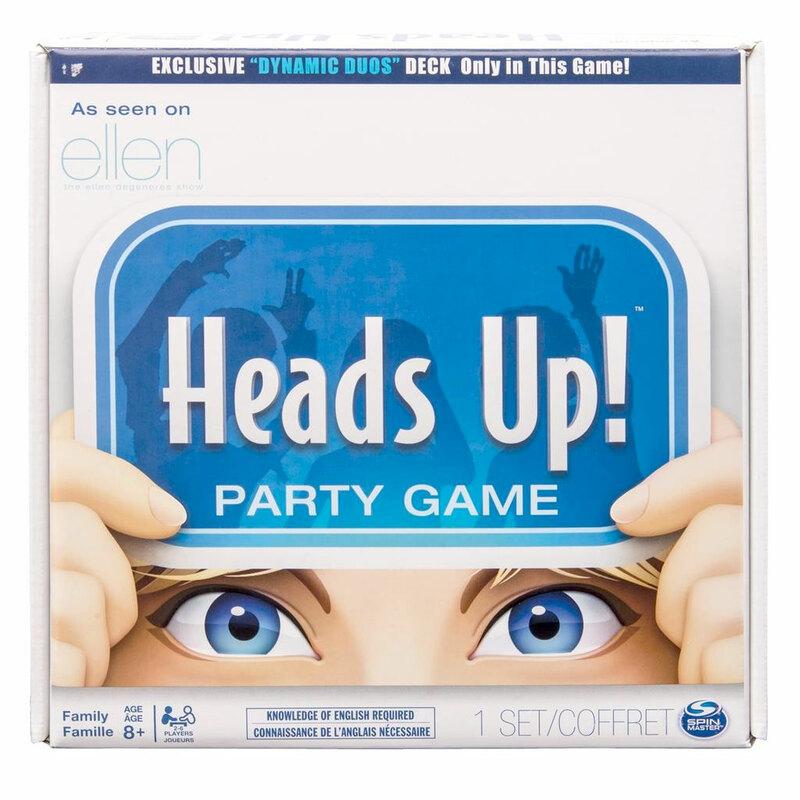 Now you can play the outrageous party game version of the popular app seen on The Ellen Degeneres Show! Slip on a headband and load it with cards. Can you guess the words you’re wearing based on other players’ clues? Earn chips with each correct answer. Earn the most, and you win! 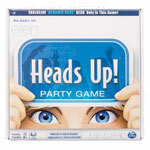 With six headbands and 200 cards across four crazy categories, HEAD’S UP! is non-stop family fun for two to six players, ages 8 and up. Includes three popular categories from the app, plus one Exclusive Category: DYNAMIC DUOS! ACT IT OUT has you acting out clues, without talking. It’s time to mime! SUPERSTARS is loaded with today’s hottest celebrities. Can you describe them?